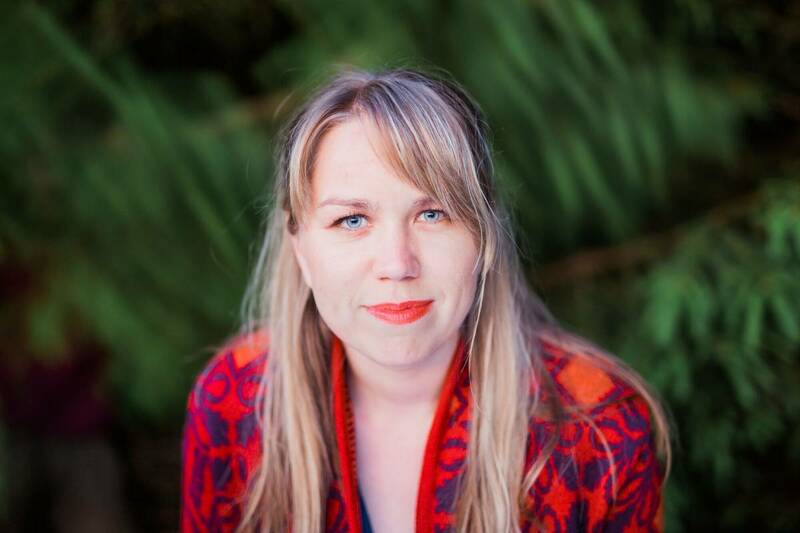 Mari Kalkun is a musician, singer and a composer relying on her Southern Estonian roots. The songs are largely her own compositions, inspired by nature, Estonian poetry and folk music. Many of the lyrics are written by local poets carrying the feeling of rural life, the forests, the landscape. 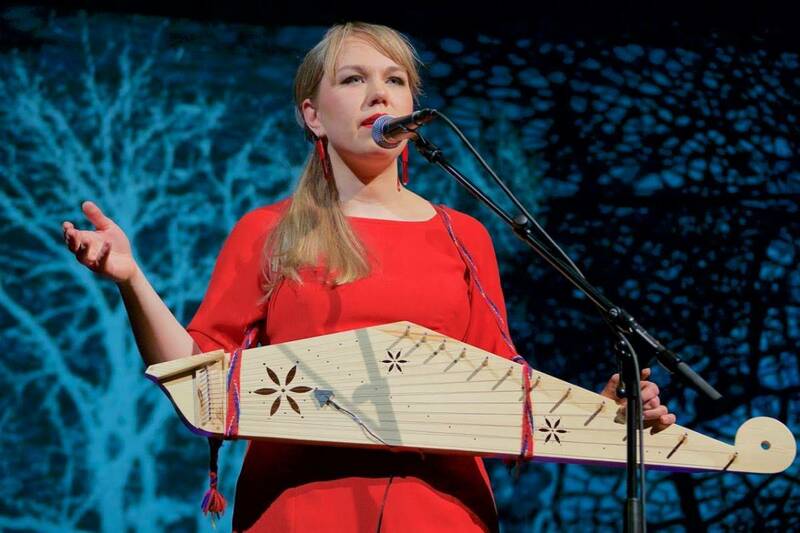 The flowing sound of Estonian language and its dialects create a meditative atmosphere in her music intertwined with the traditional singing – regilaul - and folkore. For making music and accompaning herself she uses kannel, piano, accordion, guitar but sometimes also pipes, whistles and various experimental instruments. Her first solo album named “Üü tulõk” (“Arrival of the Night”, record label Õunaviks, 2007) gained remarkable recognition among Estonian music audience and critics. Since then concerts have brought her to France, Hungary, England, Scotland, Germany, Finland, Russia, Armenia and Japan. “Vihmakõnõ” (“Dear Rain” Õunaviks 2010) is her second album, dedicated to grandparents. Being personal and keeping connection with the roots “Dear Rain” continues what was started with the first album but moves closer towards minimalism and experimenting with sound/sounds. The album is recorded at various locations in home environments. Mari Kalkun & Runorun is Mari’s Helsinki-based international group started in 2012. Improvisation is a big part of the ensemble’s working process allowing the band to be playful and innovative. Although only a quartet, all the members equally stand out for mastering multiple instruments,deep knowledge of traditions and fruitful fantasy. Runorun’s particular sound stems from two female voices and two neighbour-area kanteles supported by double bass and percussions. Their album “Tii ilo” was released in spring 2015 by reputable Finnish label Rockadillo Records, followed by a Japanese and German release shortly after. “Tii ilo” celebrates the beauty of moving and being on the road. Deriving power from Estonian song tradition, contemporary poetry and music from Finno-Ugric areas, the soundscapes of “Tii ilo” are growing from inner rhythms into the wild roar of voices and strings. Mari Kalkun & Runorun has been playing at various festivals and venues in Estonia, Finland, Hungary and accompaning Estonian President mr. Toomas Hendrik Ilves at his state visit to Lithuania in 2014. Mari Kalkun has got a master degree in traditional singing from Estonian Academy of Music and Theatre. Part of the study time she spent in exchange in Sibelius Academy in Helsinki, Finland and performed her master concert both in Tallinn and Helsinki. She received Estonian Ethno Music Award 2013 as the Best Singer.